First of all, Mauricio Macri, the President of the current Argentine government, during the electoral campaign promised to support and to strengthen the teaching work. A year after assuming the role of President not only has not fulfilled that promise, but he has decided to fight unions which defend the rights of all teachers in Argentina. The case of the teachers’ unionist called Baradel is very particular, because in spite of having assigned police custody - due to the death threats that his family receives -, in a speech addressed to the country, President Macri has affirmed that Mr. Baradel "doesn't need anybody who cares for him". In this way, the highest authority of the Argentine State is contrary to the basic judicial protection required by a teacher threatened with death, violating the right to justice and peace that every human being has. The main consequence of this public discourse is the explicit evidence of the treatment of the Argentine State toward teachers who demand a decent wage, but there is also an explicit evidence of the contempt and lack of judicial protection received by millions of citizens before a legal system based on Impunity and the protection of the powerful. 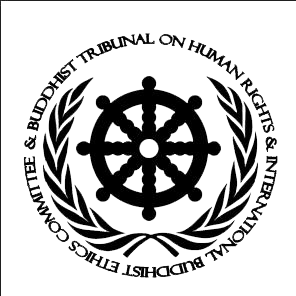 Other decisions of the Buddhist Tribunal on Human Rights on the Case Argentina have shown that the Argentine government has failed to protect the essential rights of the International Temple World Association of Buddhism, leaving its leaders in a state of complete lack of protection against repeated death threats and violent attacks. Now, if the Argentine State considers a teacher threatened with death does not need anyone to take care of him, one might wonder how the State then defends Buddhist masters or even ordinary citizens. In this way, it is evident that the only ones that are protected judicially by the Argentine State are the powerful individuals. This situation of Lack of Judicial protection towards the population and situation of Impunity in favor of a powerful elite absolutely violates the standards of the universal system of Human Rights and Fundamental Freedoms that demand equality before the law. Second, the Buddhist Tribunal on Human Rights continues to denounce the hundreds of murder cases of women that occur year after year, many of which occur after denunciations before the judicial system, which shows that the Argentine State provides lack of judicial protection to the woman. Thirdly, the Buddhist Tribunal on Human Rights takes the decision about the detention of the parliamentarian Milagro Sala, who was arbitrarily detained by a protest before a local governor of Argentina. This detention is arbitrary because social protest should never be criminalized, since every citizen has the right to demonstrate peacefully. The protection of the right to freedom of expression is of vital importance. Milagro Sala has been held in prison following serious accusations such as death threats, illicit association and extortion; all of these crimes have been committed with the permission and complicity of the former Argentine government of Cristina Kirchner, so that while the Former President Cristina Kirchner runs free, the arrest of Milagro Sala will undoubtedly be being arbitrary. Now, when a new local governor who was confronted with this parliamentarian entering office, the judiciary automatically decided to advance allegations of episodes that had been maintained with impunity during the previous government, demonstrating once again that justice protects only those who are inside of the highest spheres of Power. It is shameful the fact that justice investigates death threats only when they are addressed to governors or presidents, whereas when death threats are directed towards humble teachers or citizens there is no judicial protection. It is the State's role to guarantee the full exercise of the human right to peace and justice for all citizens, including the criminals themselves. In addition, arrest and imprisonment are not measures that solve problems, since more powerful effects can be maintained through large economic sanctions against the accused ones, along with other restorative justice measures. The judicial system must be purified so that it no longer responds solely to the needs of the powerful and then begins to protect and care for all citizens, especially the teachers, who have the social function to educate the generations of the present and future. The delays and shortcomings of the rule of Law are a situation that requires initiating not a mere change of government, but rather a transformation and democratization of all the Powers of the Argentine State, which is vitiated by systemic corruption. Fourthly, the Buddhist Tribunal on Human Rights again insists that the police and the prison system in Argentina commit crimes against humanity, since cases of torture, abuse and arbitrary prolonged detention are systematic or generalized. Corruption of the security forces is obviously linked to judicial inefficiency and corrupt practices of the Executive, Legislative and Judicial Powers. Fifthly, the Buddhist Tribunal on Human Rights again denounces the Argentine political party called "Peronism" for another crime against humanity that went unpunished, because in addition to the genocide against an indigenous people occurred during the first presidency of Perón, during his second presidency, it was created an extreme right-wing paramilitary group called "Argentine Anticommunist Alliance (AAA)", which was responsible for hundreds of murders. All of these five points show that those who do not belong or are not allied with the governing Power, as is the case with teachers, women, opponents, prisoners, aborigines and revolutionaries, are always juridically unprotected in Argentina, while the powerful ones who corrupt the integrity of the country enjoy impunity. This is the major vicious circle (karma) of this great Nation.